Ever wonder how many more calories you could burn by standing instead of sitting? Wonder no more! 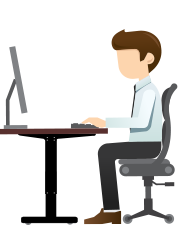 Let the FlexiSpot Sit-Stand Calculator give you a complete breakdown on how many calories you burn while sitting and standing. By understanding how many calories you already burn per hour, per day, and per week, you can gradually start to increase the amount of time you stand and improve your health in the process. Exactly How Many More Calories Can You Burn Standing vs. Sitting? UK researchers sought to find out in a 2013 study. They tracked individual heart rates while sitting and standing. They discovered standing heart rates were 10 beats higher per minute. That increase burns 0.7 more calories per minute. Sounds small, right? Not when you look at it hourly. It's 42 more calories (60 minutes x 0.7 calories). Here's where it gets fun: by standing an extra 3 hours a day, 5 days a week, you could burn 630 calories per week and 32,760 calories per year. That's nine pounds off your waistline just for standing up! 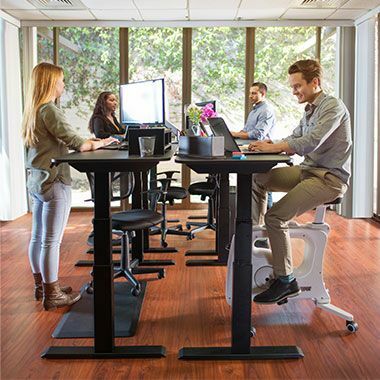 What Other Health Benefits Can You Enjoy By Standing vs. Sitting? How Can a Standing Desk Improve Your Health While You Work? Mind: Increases blood flow and oxygen to the brain improving focus and performance. Body: Activates the muscles in your legs, back and neck preventing stiffness and aches. Mood: Offers freedom of movement helping users feel happier and more energetic. Sit-Stand Desk Converters — Choose an on-desk attachment for affordable and adjustable comfort. Just place the desk riser on your desktop and you are ready to sit or stand. 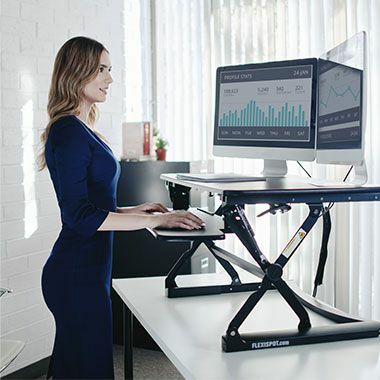 Height Adjustable Standing Desk — Consider a whole-desk replacement for a comfortable, full sit stand experience. 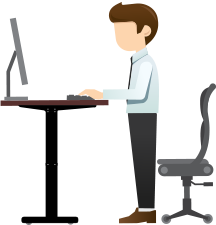 Our height adjustable desks allow you to effortlessly switch between sitting and standing. 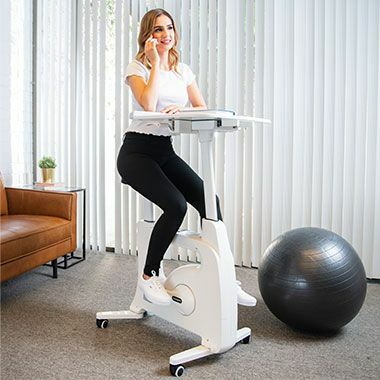 Desk Bikes — Consider a desk bike for adding extra movements and maximizing your activity level while working. The innovative, low-impact exercise machine ideal for home and office use.